Owning a personal jet has always been a far off dream for many, but that dream may have just become a little more attainable thanks to Honda with the introduction of HondaJet. 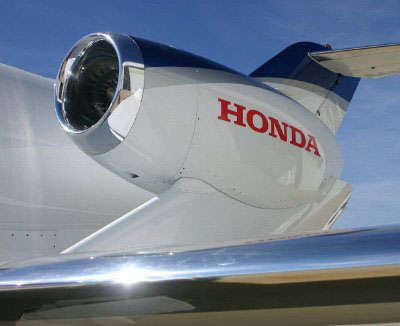 This new product from automaker Honda, makes jet ownership ONLY $3.65 million! First announced in 2005, the jet is finally entering production and Honda is taking orders. 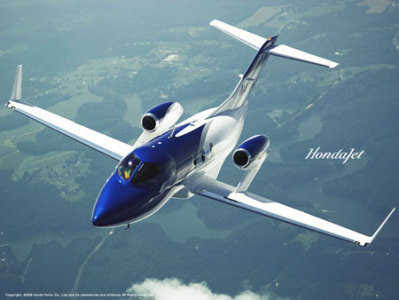 The HondaJet offers seating for up to 6 passengers and 2 crew members and is capable at going 1600 miles at over 450mph. Care to set aside $3.65 million??? Time to get back to work and make your dream a reality and soon you will have your jet park outside your driveway. I was expecting more out this video; how about better footage on takeoff and something on landings. How about something on manuevering and maybe a close up on the cockpit from above in flight?